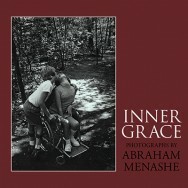 The subject of Inner Grace is the multi-handicapped institutionalized individual. This includes the mentally challenged, the blind, and the cerebral palsied. Grace is defined as “elegance or beauty of form, manner, motion or act… the influence or spirit of God operating in man to regenerate or strengthen him.” It is a state that exists in the joy of being as well as the effort of trying. The photographs embrace moments of innocence, accomplishment, serenity, pride, and struggle. In accepting the limitations that life imposes on us, we can often overcome them. This is demonstrated by the youth in the pool who, despite a twisted spine and limited muscle movements, yields to the water, and in so doing learns how to swim. The images reveal beauty in the distorted body and bring us closer to the conquering spirit in man. As we learn to carry our burdens well, in the yielding and in the striving, we become imbued with the favor and love of God. This assistance, the influence of the freely given, is grace. To me the photographs form a prayer—not only in the making of them, but now in the sharing of them. 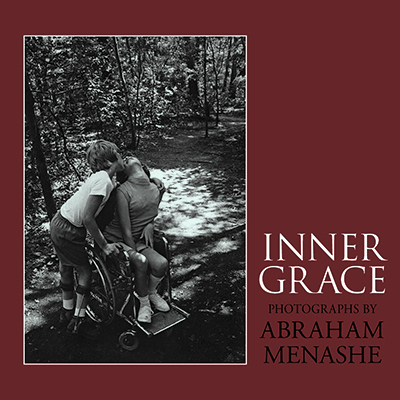 Inner Grace, by Abraham Menashe, available from iTunes. ←Older: What is your dream vacation?